The Surface pen delivers the ultimate in modern writing experience, as you write, draw or mark-up your documents, take notes and capture your thoughts quickly, and instantly convert these to text for ease of search and sharing – digitally. 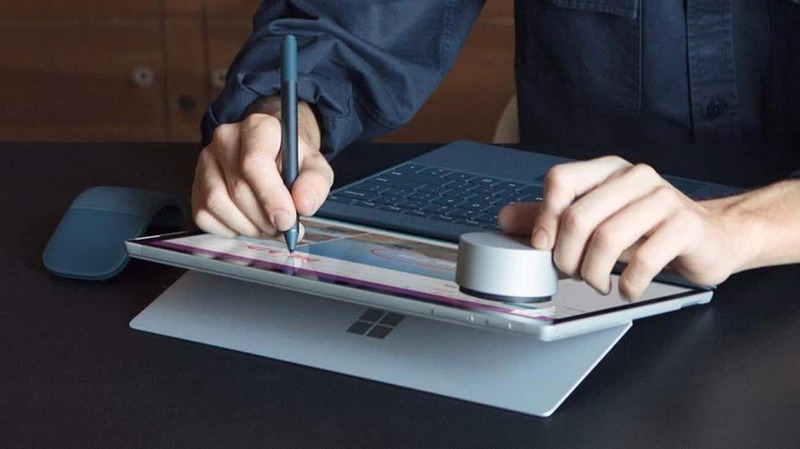 Under normal circumstances, the Pen will interact with the screen of your Surface Pro, but if you have a Surface Pen not working with Surface Pro 4, check out some solutions to resolve the issue. Test the LED functionality, if it doesn’t come on, then the problem is a power issue. For Surface pen with a single long button, turn the cap or the end of the eraser in a counter-clockwise manner to the body until it clicks. Pull the cap from the body and replace the AAAA battery with the negative end pointing toward the writing tip. Replace the cap by lining up the metal guide bump on the cap with the half-circle cutaway on the body, and slide the cap back into its place. Turn it a little to align the flat edges. Pair your pen with your Surface Pro 4 again. On the Surface Pen, press and hold the button at the top until the LED light blinks to make the pen discoverable. Press and hold the top button for about five seconds then let go. If the LED light blinks continuously, the pen is receiving power and is trying to pair with the device, so follow the pairing steps. If this doesn’t help, restart your Surface Pro 4 and try pairing again. If the LED light blinks for about 3 seconds, then the Pen is paired to another Surface device nearby so find it and remove the pen. Go to the taskbar, select Windows Ink Workspace. If your Surface pen has no clip or has a single long button on a flat edge, get a pen tip kit at the Microsoft Store or online. The tip kits differ from one pen to another, so ensure you get one that matches your pen model. Your Surface needs to be registered to order pen tips, plus you have to log in with your Microsoft account. If you’re using a wrong driver, you may not be able to use your Surface Pen, but you can update the Surface Pen driver manually, or use a driver detector. There is a possibility of corruption issues on your Surface Pro 4 which can disable your Surface Pen. In order to resolve this, completely reboot your Surface Pro 4 device to clear corruption issues. A two-button shutdown will switch off the Surface Pro 4 completely. So you can fix the pen using a two-button shutdown, then reboot your device. Did any of these solutions help? Let us know by leaving a comment in the section below.